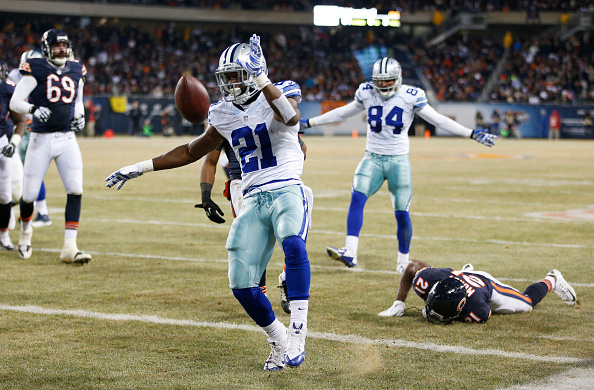 A week after a tough Thanksgiving Day loss to the Eagles, the Cowboys were back to their winning ways in what was basically a must-win on Thursday, as Dallas topped the hapless Bears 41-28 in Chicago. It was a big night for the Cowboys stars on offense, as Tony Romo threw three touchdown passes and running back DeMarco Murray rushed for 179 yards and another score in the win. Romo finished the night 21-for-26 for 205 yards, including a pair of touchdown passes to Cole Beasley, who helped the team take a 14-7 halftime lead and quickly build it to 28-7 in the third quarter. At one point the Cowboys scored three times on eight offensive plays. The Cowboys with the win push their mark to 9-4 on the year, and it was a huge win as they stay just 1/2 game behind the Eagles for the lead in the NFC East. The Eagles will play the Seahawks at home Sunday afternoon. Dallas allowed 21 points in the fourth quarter but never trailed as Murray lugged the ball 32 times and went over 1,600 yards rushing on the season. The Bears (5-8), who lost receiver Brandon Marshall to a rib injury in the first half, got a pair of touchdown passes from Jay Cutler (32-for-45 for 341 yards) and a dozen receptions for 84 yards and a TD by tight end Martellus Bennett. It didn’t matter as the Cowboys did just about whatever they wanted on offense, going up 35-7 after scoring on six straight drives between the second and third quarters. 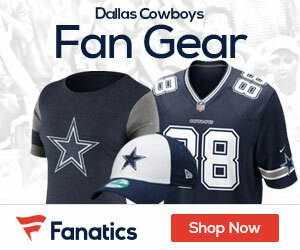 The Cowboys struck first after a scoreless opening period when Murray capped a 51-yard drive set up by a partially blocked punt with a 1-yard dive on fourth down. The Bears answered on their next possession, also converting on a fourth down before Cutler found Bennett open in the end zone from 12 yards out, but Romo connected with Beasley on a 13-yard scoring pass with eight seconds left in the half to give Dallas a 14-7 lead. The Cowboys appeared to break things open in the third quarter as Romo found Beasley from 24 yards and tight end Gavin Escobar on an easy toss from 6 yards before Joseph Randle scampered for a 17-yard score to make it 35-7. Chicago answered with scoring runs by Matt Forte and Cutler following a 27-yard touchdown pass to Alshon Jeffery. The Cowboys will have their biggest game of the year next Sunday night December 14th in Philadelphia against the Eagles.